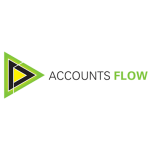 Simple and efficient POS invoicing integrations from over 1,000 national suppliers in Australia & NZ. SwiftPOS integrates with many leading suppliers including MetCash, ALM Liquor, Independent Liquor Group, Liquor Marketing Group, Liquid and Accounts Flow… to name a few. It’s easier than you think. We take your supplier invoices and send them directly to your POS or Inventory system, product by product with all the relevant details. In most cases your supplier invoice will be detailed within your POS or Inventory system before the goods have even arrived. Book your holidays now because you are going to have serious spare time. No data entry … like ever … we’re not kidding. Accuracy for peace of mind. 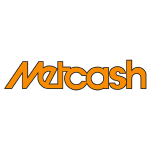 Metcash is Australia’s leading wholesale distribution and marketing company with sales of over $14 billion in FY18. We believe that it is absolutely vital to Australia that there is a sustainable, independent, family-owned business sector. Independent retailers support their local communities. We help them to be the ‘Best Store in Town’ by providing merchandising, operational and marketing support across our food, liquor and hardware pillars. Australia’s largest liquor co‑operative, The Independent Liquor Group is a member owned organisation of licensed liquor stores, hotels, registered clubs and restaurants working collectively to obtain the best service and benefits whilst maintaining their own autonomy and independence. 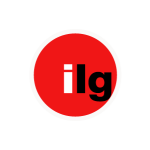 At ILG, it’s all about our members. Our family is rich in history, strong in member relations and committed to exceptional service. Established in 1977, alongside its banner group ‘Bottlemart’, LMG was created by a group of 400 NSW hoteliers. 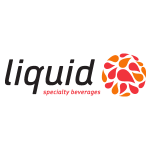 LMG is one of Australia’s leading alcohol marketing groups, proudly representing more than 1,400 independent operators in the $17.5 billion Australian retail packaged liquor sector. 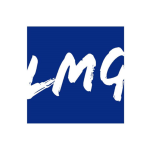 Through expansion of the LMG brand and numerous mergers and acquisitions, LMG now operates Australia wide with offices in Queensland, New South Wales, Victoria, South Australia, Western Australia and the Northern Territory. ALM is strongly committed to supporting independent retailers throughout Australia and New Zealand. To this end, the company owns no retail liquor outlets and maintains a major focus on providing outstanding customer service. 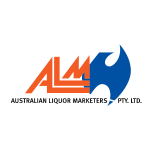 With a total staff of over 750 people in 16 world class, low cost Distribution Centres across Australia and New Zealand, ALM carries in excess of 8,500 liquor products. This provides ALM with a unique opportunity to fill orders “in full on time” for its 14,500 licensed liquor outlets across two countries. Our goal is to satisfy our customers, every time. To do this, we strive to understand what your business requires. We don’t act like a big corporation where “one-size fits all”. Rather, our Account Managers and Customer Service team adopt a personalised approach, helping you select the right products for your business and delivering to your door in a manner that doesn’t interfere with your operations.